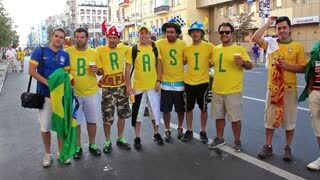 Search Results for "people brasil face"
KIEV, UKRAINE - 1 JULY 2012: Football fans from Brazil before final match of European Football Championship "EURO 2012" (Spain vs Italy), Kiev, Ukraine, July 1, 2012. Both Latin American and United States families share in church-going as part of the makings of a functional and moral society. 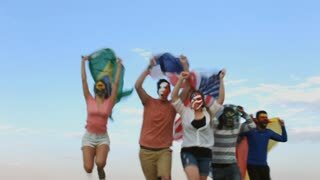 Slow motion portrait of glad traveller young man holding Brazilian flag and smiling looking at camera. National symbol, proud people, summertime and nature concept.